Once you’ve decided that you need to make some upgrades to your home, it is important to choose the best contractor for the job. Here are some tips to make sure you get the right contractor for you. Whether it’s a new roof or a new kitchen, make sure that you know exactly what you want before you set out to find a good contractor. This way you ensure that you get the perfect company for the job that can do the work you need done. You want to make sure that the contractor you choose is a good fit for you and that you can communicate well. You don’t want anything to be misinterpreted, ending up with a change that you don’t like! Make sure that the contractor you are selecting has all the certifications you need. These certifications vary by state. Someone that can do a great job with drywall may not be the right one to get that new skylight you’ve always wanted. Make sure that the contractor you select is perfect for the job. Check out the Better Business Bureau for any complaints. Bonus if they are a Better Business Bureau member like we are! If you are still unsure, ask your contractor for references of past customers. Or better yet, ask your friends and family if they’ve recently worked with a great (or not so great) contractor. It can eliminate a lot of headaches in the long run! You should have at least three different contractors come out to assess the job for your home. Also, compare the work. Some will charge less for less work. In the end, you may want to spring for a complete job than a contractor that cuts corners. Make sure that your contractor is easily accessible by either phone (call or text) or email. Fast response to your questions will make it easier to get the job done under budget and exactly how you want it. Follow these tips to get the best contractor for your home improvement project! We hope you call us to get a free estimate for your roofing and skylight needs! 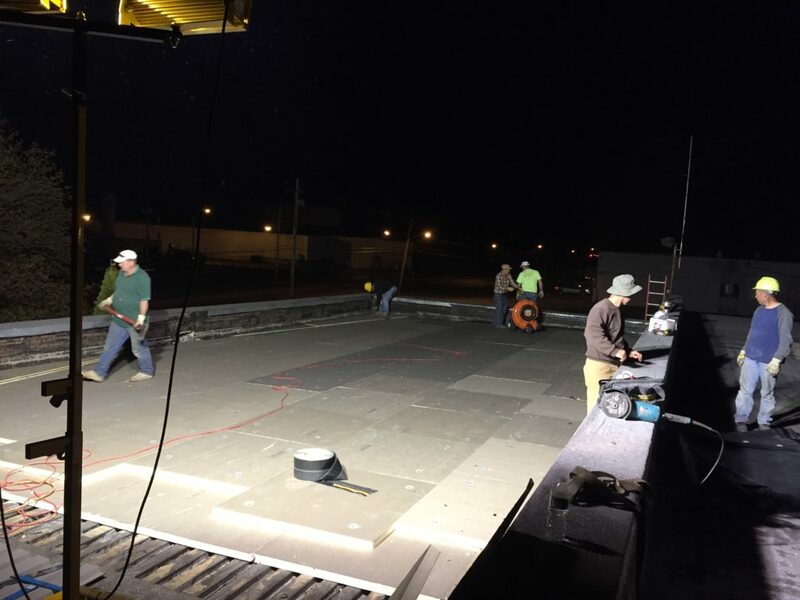 At Sunset Maintenance, we not only complete residential roofing jobs, but we also do commercial roofing jobs. We can handle a variety of jobs as seen below. 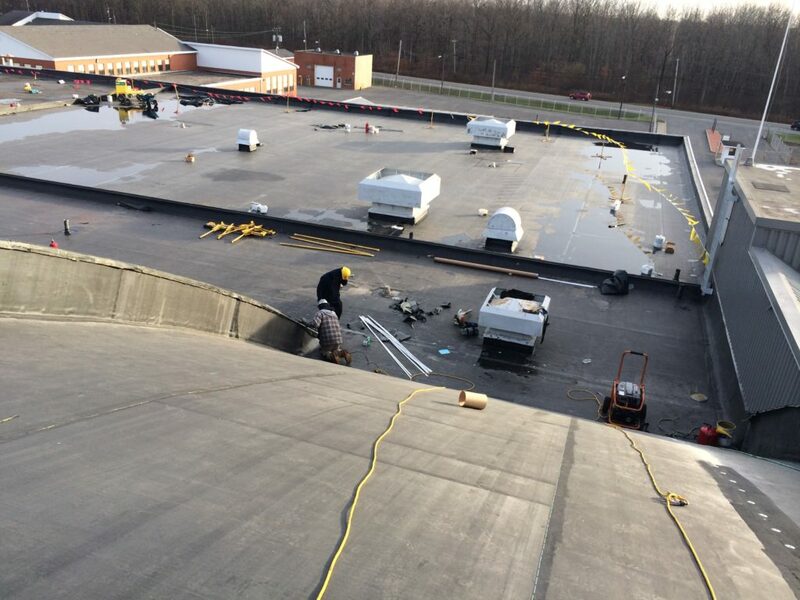 If you are a business owner in the Rochester area looking for a roof repair then call us at Sunset Maintenance! 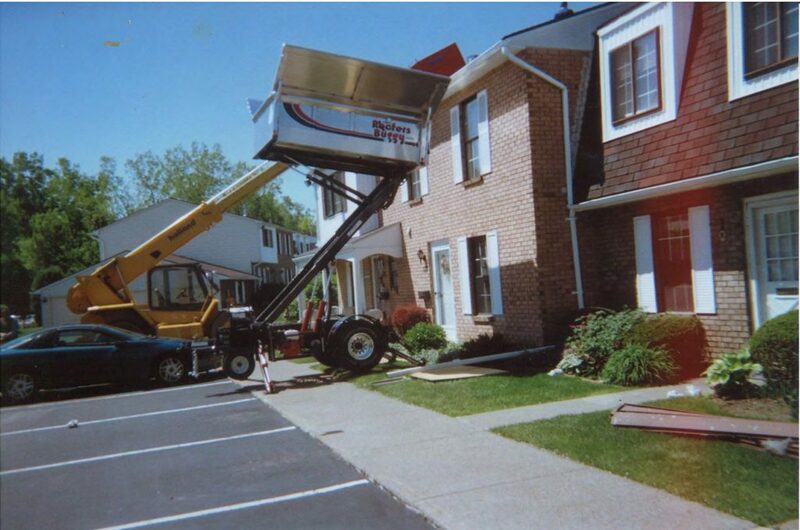 We have the equipment to handle any roofing job, whether it’s complicated or easy. 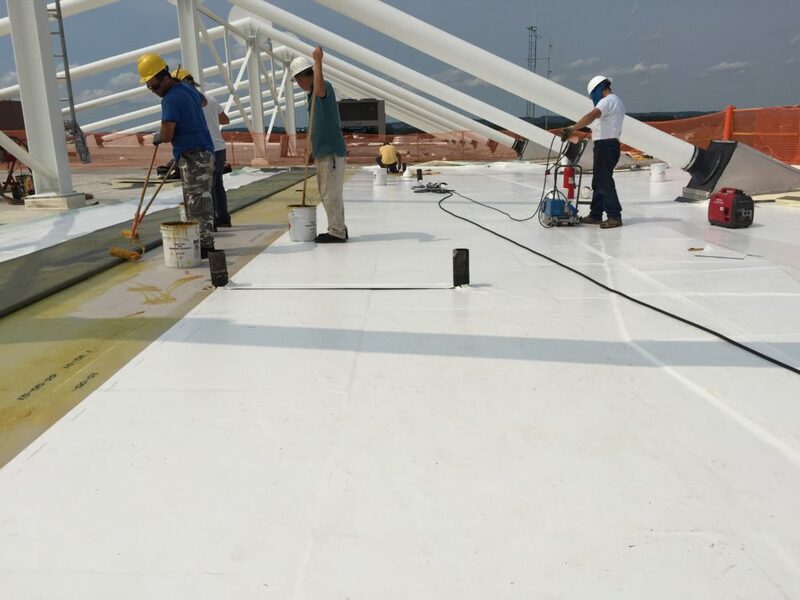 Our professional crews work day and night to make your roof look brand new again! We hope you contact us to get a professional roof estimate! One of our friendly customer service representatives can get you scheduled right away! Don’t wait as spots are filling up quickly this summer! 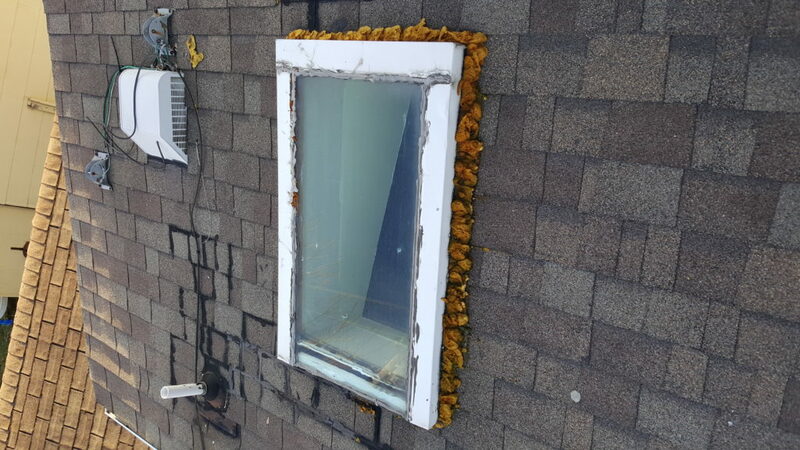 This homeowner inherited this homemade skylight from the previous owner. An ice dam two winters ago left some damage to the area around it as well. This resulted in the problem in the image you see below. 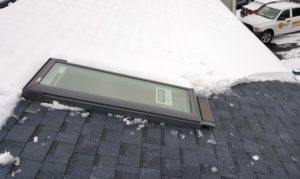 As you can see, the homeowner also attempted a quick fix by using incorrect insulation around the skylight to minimize leaks along with patching up a section of the roof. The homeowner contacted us and we sent our experts over. 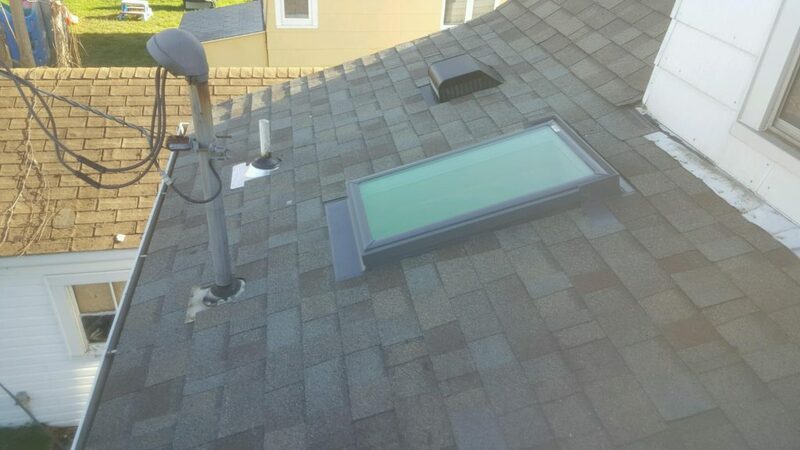 We installed a new Velux skylight with 20-year leak free warranty and repaired that patch of roofing. Our team also installed a new vent box and flashing kit. A new ice shield was installed to help prevent ice dams in the future, and any rotted roof decking was replaced. Afterward is a perfect installation with new roof decking. The result is so seamless you don’t know which part of the roof was replaced. The new vent box matches the roof and it doesn’t stick out like the old one did. With a new fixed skylight that lets in light without the rain/snow finding its way in, we left the job with a very happy customer! Are you in need of roof repairs? Attention City of Rochester Residents! Was the winter tough on your roof? The City of Rochester is providing financial assistance for roof replacement! You have to own and live in your home in order to qualify. There are also income requirements for those interested in applying. If approved for this program, the City of Rochester covers the cost of roof replacement and other related repairs to include gutters, etc. Check out the City of Rochester website for more details. We would love to assist you in getting your roof repaired this season. Don’t delay, the second round of funding citywide will only run from April 25-May 26, 2016! Be sure to apply while there’s still time! 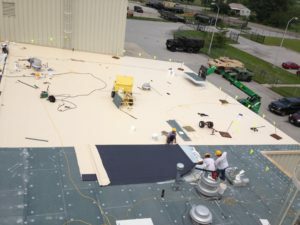 If approved for this program, we hope you consider Sunset Roofing for your roof repairs! We service the Rochester, NY area and are the experts for all your roofing needs including roof repairs. 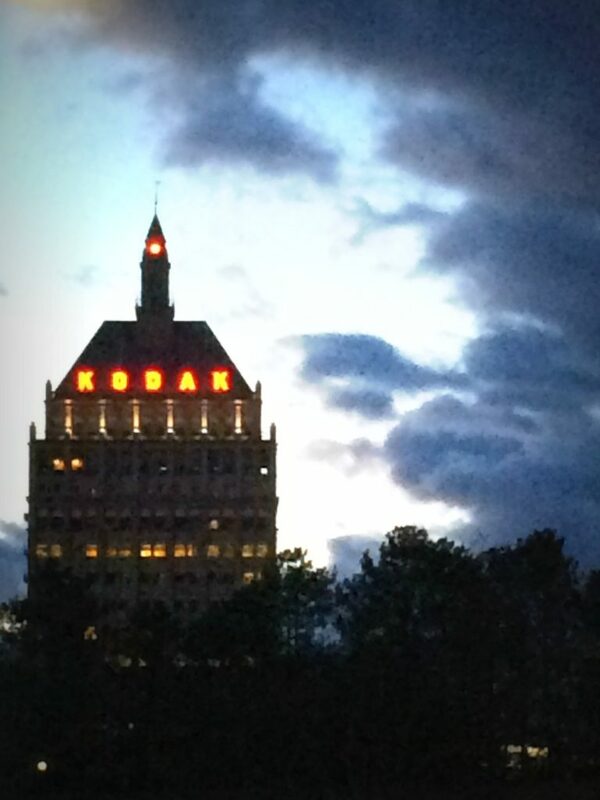 Don’t forget to apply through the City of Rochester’s website before applications close! Hope to work with you soon on getting your home back in shape before next winter!